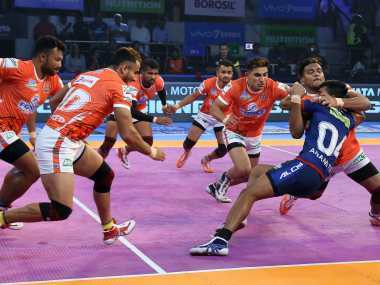 Zonal action continues on Wednesday as Dabang Delhi take on Puneri Paltan for the second time this season at the Patliputra Indoor Stadium in Patna. Though Dabang Delhi don’t have the best head-to-head record against Puneri Paltan, they will be buoyed by the fact that they won the first game between the sides this season. 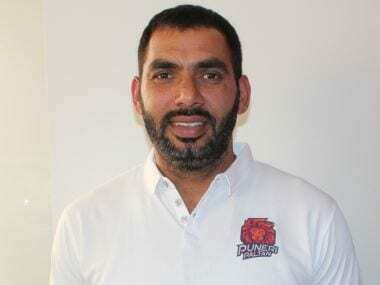 Puneri Paltan, though, have won all three games between the two teams last season and will look to further their head-to-head advantage as they seek to maintain their position at the top of Zone A.
Dabang Delhi K.C. suffered a narrow defeat to U.P. Yoddha in their previous game. But Naveen Kumar was outstanding for the team and returned 13 points. Chandran Ranjit managed a Super 10 for himself in the game and both youngsters will be looking to continue their momentum as Dabang Delhi K.C. seek a second victory over Puneri Paltan this season. Puneri Paltan lost their last match against Gujarat Fortunegiants. However, Nitin Tomar continued his excellent form as he became the first player to notch up 100 raid points this season. 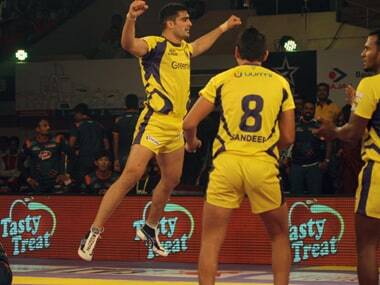 Young Parvesh chipped in as well in his Pro Kabaddi debut for Puneri Paltan this season. Having returned 13 points in his team’s last game against U.P. Yoddha, Naveen Kumar is in some excellent form. Dabang Delhi K.C. will want another good performance from the raider, particularly since Puneri Paltan have two among the top five best performing defenders of Season 6 so far. Girish Maruti Ernak has been a rock in Puneri Paltan’s defence this season with an aggregate of 29 tackle points from 9 games so far. Combined with his exemplary leadership skills, Ernak’s presence on the mat is vital to his team’s confidence in tackling. Puneri Paltan will hope their captain will inspire the team back to winning ways.